The city of Hyattsville, situated in Prince George’s county of Maryland, has reportedly announced to have installed two new Level-3 electric vehicle charging stations. The stations are located in the municipal building parking lot and were awarded by the Electric Vehicle Institute in partnership with the Maryland Energy Administration, cite trusted sources. According to reports, in 2017 the Maryland Energy Administration funded the first two Level-2 stations, in addition to financing the purchase of a Chevrolet Bolt & an electric motorbike which became the nation’s first fully marked electric police patrol vehicles. Reportedly, two of the Level-2 stations are situated in the Public Parking Lot no. 2 near Hamilton street, while the other two are in Public Parking Lot no. 3 near Farragut Street. All six of the charging stations are currently open to public use, free of charge. The police department has three Level-2 charging stations of its own in the city building’s garage, cite sources. Apparently, the installations are a part of the city’s ongoing efforts to develop its infrastructure in a sustainable & environmentally friendly manner. The new Level-3 stations will reportedly charge an electric vehicle (EV) to travel up to 180-miles in one hour, a drastic improvement over the old Level-2 stations which charged EVs enough to travel 25 miles in an hour. Hyattsville Mayor, Candace Hollingsworth stated that the new stations are a mark of leadership showcased by the city to grow in an environmentally friendly manner. The Mayor expressed gratitude toward the Electric Vehicle Institute, Maryland Energy Administration, and several other clean energy supporters in the community for their role in bringing the vision to fruition. 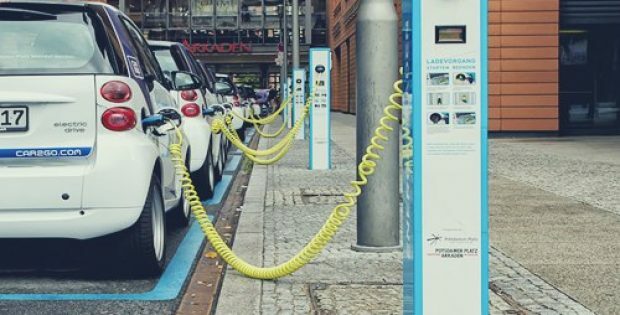 The city is further making a push for clean energy by hosting an Electric Vehicle Car Show where current EV owners will showcase their vehicles & answer questions regarding vehicle viability. The event is scheduled for 8th of September 2018 & will be held in the municipal building parking lot.